There are many tourist attractions in Bali, which are interesting to visit, especially with our friends. However, when vacationing to Bali Island with family and bringing our children, planning the place to be visited can be a confusing matter. Because, no all tourist attractions Bali Island is suitable for children, especially if your child is easy to feel bored or moody. But today, the development of tourism in Bali Island has increased continuously, and that make family attractions in this island, also has increased. And for those of you who are looking for references to family attractions in Bali Island, then you need to read this article to complete. Bali Zoo is located in Singapadu Village, Gianyar, Bali. The Bali Zoo was opened in 2002 and has been home for over than 350 animal species, comprising mammals, poultry, and reptiles. Some of them are rare animals. There are many activities that can be done here, not only for children but also for adults. Special rides for children that are provided at Bali Zoo, including Miniapolis, Jungle Waterplay, Petting Zoo, and Pony Ride. 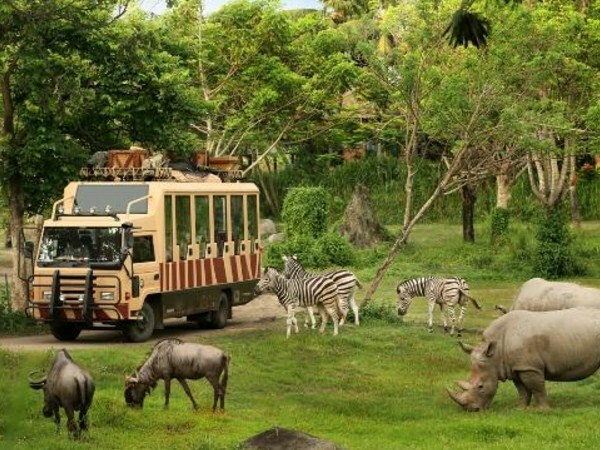 There are also other rides which are not less fun, as well as safari with elephants, explore Bali Zoo with Bali Zoo Shuttle Bus, and spend the night at Bali Zoo. Bali Safari & Marine Park is located at st. Bypass Prof. Dr. Ida Bagus Mantra, Gianyar, Bali. This place was founded by Taman Safari Indonesia and is a home for at least 60 species of animals, mostly from Indonesia, India, and Africa. 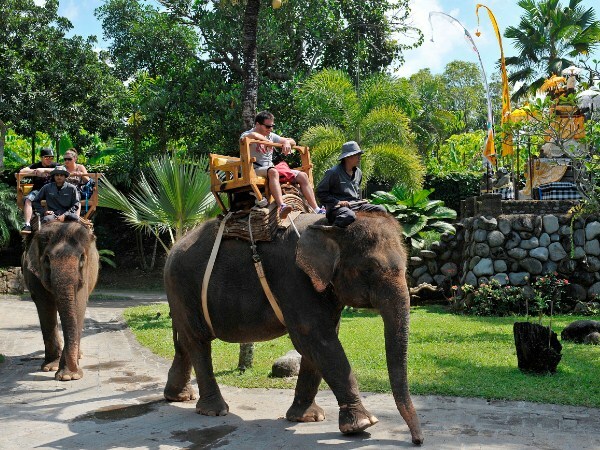 Many activities can be done with our family in this place, as well as doing safari using bus or elephant, play with baby Orangutans, see the Komodo Dragons, and see the Himalayan Bears. Besides that, at Bali Safari & Marine Park, there is Ranthambore which is a replica of an ancient fortress in Rajasthan (India), complete with a white tiger as a typical animal. 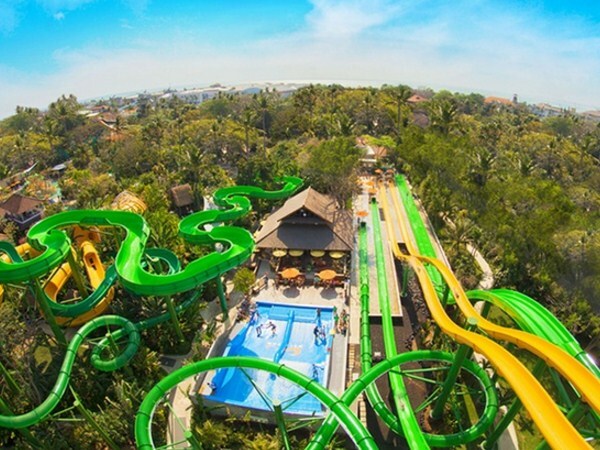 Waterbom Bali is located at st. Kartika, Tuban, Kuta, Bali. There are a variety of water rides in this place, ranging from children-friendly rides like Funtastic (is a swimming pool with special rides for children), Lazy River, Flow Rider Double. Here is also an extreme rush that challenges adrenaline, as well as skating on the "Climax" rides, which have a height of 16 meters. Or slide inside the rotating pipe "Pipeline", which has a height of 20 meters. 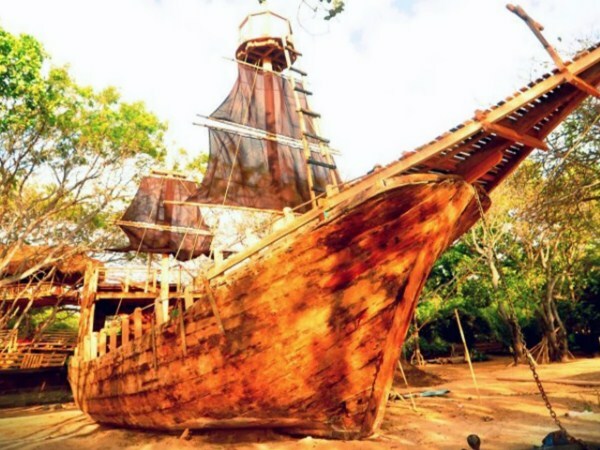 Unique and anti-mainstream, that's the most suitable words for The Pirates Bay, which is the first pirate-themed cafe and restaurant in Indonesia. This place is on the outskirts of Nusa Dua beach, Bali. In this restaurant, there is a stranded wooden ship, complete with a pirate-style decor. Places provided to enjoy the food in this unique restaurant, including tree houses, tents, or wooden chairs and tables. About the food menu, The Pirates bay provides a variety of Asian and Western food menu, that mostly seafood-based. In addition to eating, you can also rent a pirate costume to take pictures, learn cooking, camping, and outbound activities for children, as well as flying fox and rope walk. 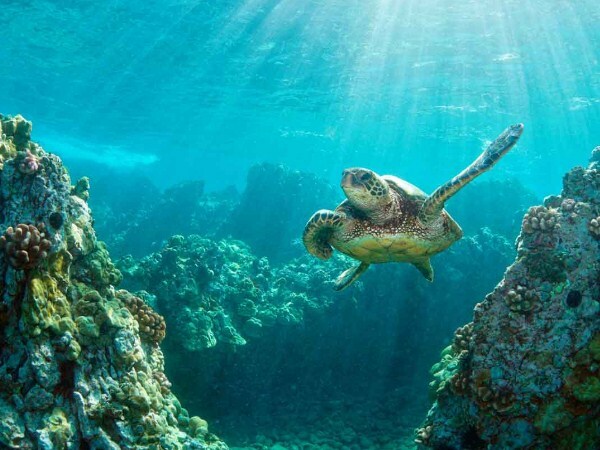 Turtle Island, is also a must-see tourist attraction while taking a vacation in Bali Island, with your wife and children. By using glass bottom boat (is a ship that the bottom made of glass), you and your family will be invited to see the underwater aquarium in Tanjung Benoa area, without having to dive. After that, the journey will continue to the green turtle breeding, on Turtle Island. Your children can see how green turtles are preserved. Turtle Island is also a breeding ground for other animals, such as monkeys, snakes, eagles, cockatoos, and bats. For those of you who have a plan to vacation in Bali with your family, and feel confused about what place you and your family have to visit, maybe you can choose one among the places we have reviewed in this article. Don't worry, because these places are perfect for you and your family, especially for children.